Dr. Nguyen has been practicing dentistry since 2002 and together with his excellent staff, he grew his practice into a compassionate, professional, state-of-the-art dental office. He received his Bachelor degree in Biology with a minor in Microbiology from the University of Georgia. He continued his education at the Medical College of Georgia which is now called The Dental College of Georgia at Augusta University graduating in 2001. He was honored as the Top Clinician in his class. 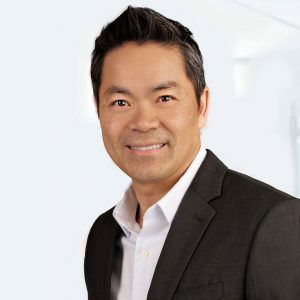 He happily provides our patients with only the best dental care that continues to evolve as Dr. Nguyen takes multiple continuing education courses each year. He is passionate about finding out new and better ways to do his dentistry. If you asked him, he will tell you that helping people improve their smiles with cosmetic dentistry is his favorite part of being a dentist, because the results are life-changing. When Dr. Nguyen isn’t transforming lives by improving oral health and beauty, he can usually be found spending time with his large family. Traveling, fishing, playing tennis, snowboarding and eating international cuisine are some of his most favorite past times. Dr. Nguyen is happily married to his wife since 2004 and they both have 2 boys.